Indians are fond of weddings. It is during this life changing event alone when new connections are made and families come together and celebrate the event as one big event. In India there are matchmakers in the elders of every community who bring in marriage proposals to the bride’s family. I am taking about the arranged marriage system. They give a bio data of the prospective groom and his family. It also includes the horoscope of the groom. Astrology has a big influence in the Indian society. And as such an astrologer is consulted to match the horoscopes of both bride and groom. Only if it is a perfect match, a formal meeting is arranged to see the bride in her parental home. The groom visits with his family to see the bride and decides whether or not to accept the proposal. Well, with the passage of time the prospective groom is also allowed to have a few words with the bride before he gives his consent. If both of them agree, the marriage is fixed. A date is set aside for the big day. This is the process that goes behind an arranged marriage in India. The engagement ritual is performed with a few relatives. Both the families exchange fruits, betel leaves, coconuts, jasmine flowers, sweets etc. The bride is also gifted a silk saree which she has to wear on the same day and join the rest for a small meal. After the commencement of the formal engagement, wedding invites are selected and both the families give out the invites individually. They are invited to an elaborate two day marriage function with festivities and pujas being performed the night before. In the southern part of India, invitations are handed out personally by the family. Some communities do not allow the engaged couple to see each other till the wedding day. However, it is not longer followed today. They have become liberal and allowed to speak to each other and even let to go out. Kanjeevaram is the place in south India where rich silk sarees are traditionally hand woven by skilled weavers. 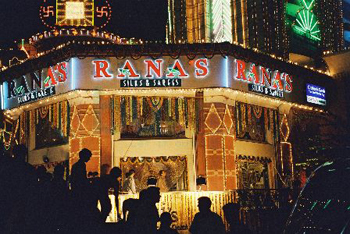 Every bride takes a trip to this place before marriage. Sarees with rich gold zari are draped over the prospective bride to match the color on her so that she looks her best. Apart from the wedding saree, different ceremony demands a different saree for the bride and is therefore bought accordingly. Some are to be gifted to close family members too. Matching silk blouses are then stitched with perfect fit. Jewelries have a special place in South Indian weddings. Several sets of gold jewelry are bought for each ceremony. If one can afford diamond, it is bought too. The perfect jewelry set consists of bangles, necklace, ring and a pair of earrings. The caterers, florists, musicians are tested and booked in advanced. The menu for the rehearsal dinner will be different from the elaborate marriage feast during ‘muhurtham’. The actual marriage is termed as Muhurtham. The groom ties a mangalasutra (a gold pendant threaded onto a thick turmeric thread) around the neck of the bride with the Hindu priest seated in front of a fire in the flower bedecked mandap and chanting mantras. Family and friends shower them with rice mixed with turmeric which signifies blessing the couple in Hindus. A traditional live music to herald the event known as Nadaswaram is followed to signify the tying of the mangalasutra. The marriage feast is also of a unique kind in the south. Variety of eatables is traditionally prepared for the marriage. It includes three to four varieties of sweets along with deliciously prepared rice items such as pulav, puliyogare (tamarind rice), pooris, chutneys, vegetable paliyas, pappads, vadas, kootus, curd rice, pickles, etc. It is served on a large plantain leaf and here is the fun part, everyone eats with their hand. A designer packet containing a large coconut, betel leaves and nuts are handed over to elders as a sign of respect. Various games are played between the bride and groom as they exchange garlands. They are also made to sit on the large swing as the women and children sing along. Reception is a grand affair too. The mandap is converted into a stage where the groom and bride are seated. Gifts are given to welcome them to the married live and photographs and videos are recorded to capture the auspicious day. Food is usually an elaborate buffet with sweets and savories along with dosas and rice baths. The bride is welcomed into her new home the next day. A measuring jar filled with raw rice is kept on the threshold of the main door and the bride is asked to kick it slowly with her right foot and then enter with the husband. It is a symbol of welcoming the Hindu Goddess Laxmi in the form of the bride. These are the rich traditions and customs that run behind a wedding in the Southern part of India. Unlike in other parts of the world, family is given much importance in a wedding in this culture rich country. Wedding is a brand new step to a completely different life, different from the one you are presently living. For Indians, especially for the bride’s sides it is very huge. Almost every family starts planning and savings for a wedding as soon as a girl is born. Deciding on the bride’s dress is the most important decision of all that needs to be taken with great care. Indian brides have a lot of option on their wedding dresses depending on the religious background they come from. Wedding saree is the tradition wear of an Indian bride. But with modernization picking pace bridal ghagra cholis is most preferred. It imitates the traditional wedding sarees with its skirt for the body of the saree, choli that is very much like the blouse and the big and broad dupatta that fulfills the roles of the pallu of a saree. The bridal ghagra cholis has brought a new level of elegance, dignity and a sense of independence in her. Indian weddings run for many days at a stretch. The ceremony begins with Mehendi, Tilak, Sangeeth, Baraat, Wedding and finally a formal reception. Of all these the most important ceremony is the saath phera when the bride and bride groom unite as a pair. This is the part where women in most parts of India wear a red bridal dress, saree or ghagra choli. Amongst the Hindus the color red is considered very auspicious signifying Love, Courage, Beauty and Strength. A considerable amount of wedding budget is set apart for the wedding dress as it is the most important part of all. Indians do not mind spending $500 to $5000 on a wedding dress because the dress has to be exclusiveness. Also retailers selling bridal wear know that people come with a mindset to spend money on bridal wear so the price is further skyrocketed. 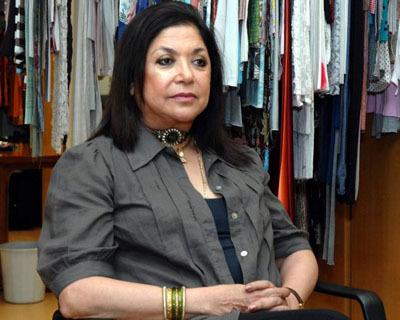 The sellers are seen making 200% to 300% margin on those already expensive outfits and the buyer ends up a huge amount of his or her hard earned money on an outfit that they could have bought for lot better prices. It’s a plight you cannot help in India. If you are not sure about the money you want to spend, check out smaller stores first. They may not have huge collection, but they may have the dress that could exactly match your imagination for a much lesser price than in an expensive fancy store. The price of any product depends on the overall operating costs of the seller. The higher the seller’s operational costs the higher the product price, not because the product is any different from a small store. If still not convinced, check out more expensive stores and judge the quality and designs of different sellers at huge price differences. You will understand. I know you must be preparing for your special day months before right after you have taken the decision to get married. After spending a million bucks on your wedding, you at no cost will say no, right? Anyway don’t stress on it. This is not what I am going to discuss about today. Rather I will take you to a tour about the disasters, emergencies, panic attacks, breakdowns, crises that might come up in your wedding. But do not worry everything has solutions! Every Indian Bride’s Emergency Bridal Kit for the Wedding Day. I was watching this movie the other day where the bride’s gown rips off at the altar and her liner goes for a tiny little party with the lipstick. LOL! It was a zombie movie. What I mean to say is that even with the best of preparations things might turn ugly in your wedding and therefore it is wise enough to carry the remedies along. 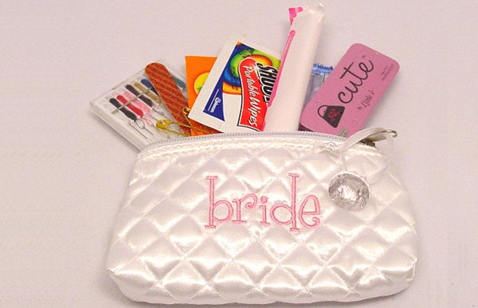 Of the lots what is most important is the emergency Bride Aid kit that is a must for your bridesmaid to carry. Have a look and be prepared for the odds! It is always wise to be on the safe side and carry along these items. Least you bang your head on your D’day! Here is what it should contain, in case you forget in the humdrum of having fun. I have categorized your emergency into three sections. So, get down with your pen and paper and paper and make notes. Perfumes or deodorants: If you sweat a lot due to the heavy bridal dress. Glue or Fevicol: Disaster might come any time. Spare flats: Incase your feet ache due to standing on the heels the whole time. Snickers: If you love eating. Double sided body/sewing tape for costume slips. Safety Pins: It is normal for Indian weddings if chachis and mausis run around asking every second woman about safety pin. You may also use it to adjust your lehenga/palla. Straws: Keep straws to drink without messing up your lipstick. Band Aid: Keep band ads in case you forget to test your shoes beforehand and it bites. Aspirin: If the stress gets on to your nerves, Aspirin will come handy as you need to constantly smile throughout the event. Sanitary Pads/Tampons: If you fall under the categories who always forget your date so that you do not get any surprises. Contact Lens solution: In case something goes wrong. ENO: For immediate gas relief. Other emergency medication: Redness-reducing eye drops, pain reliever/migraine medicine, antacids, allergy medications and any other prescribed medicine. Lipstick: Even the best of lipsticks don’t last for more than 6hrs. Since Indian wedding lasts for life a lifetime (metaphorically), it should be on the top of your box. Lip balm: You can also keep a tinted balm in the color of your lipstick to keep your lips moist. Compact: I am sure you won’t like to look an oily bride if yours is a summer wedding. Wet Tissues: When the groom puts on sindoor on the bride’s head, a major portion falls down on the bride’s nose. Wet Tissues will work miracles in this case. Baby Oil: Indian bridal jewelry is too heavy with mang tikka, nathni etc. Apply baby oil in case of allergic reactions. Hair Spray: In case your hair becomes difficult to manage. So just keep a fixing spray handy. Small mirror: For the last moment touch ups as you won’t want your makeup to suffer. Mouthwash and mints: Indians are very lovable although the bride and groom don’t get to kiss. Makeup remover: To look after smudged mascaras. Hand Sanitizer: This is of course needed. Camera: You might want to take your own candid shots while getting dressed and made up. Contact numbers: Keep a list of numbers of everyone who you think you might need. Your favorite music: In case you want to relax for a while. Scissors: You never know what kind of emergency you fall into. Cash: It is also good to have some cash- small bills. Charger: Spare phone charger. Don’t forget your phone! An Indian wedding is a grand affair. Indians have many rituals to follow and as such wedding are given prime importance in this nation. It is always celebrated with prom and gander amidst family and friends. There are different preparations for different functions in a marriage. This is another reason why Indian weddings are greatly memorized even after so many years of existence. Of the many things given very high importance in Indian wedding, wedding dress is one of them. The bride is the center of attraction of the marriage. Therefore, she has to be at her best with the best wedding dress, accessories and just the right amount of makeup. Brides start looking for their wedding dress months before in advance. They opt either from the sari, lehnga choli or salwar suit in India. Today, they come in variety of styles, colors and designs. Well it is obvious that brides are more concerned about dress than groom because they usually form the center of attraction. Brides need to choose the best wedding dress to look the best. We have therefore come up with a little guide to help you purchase your dream wedding dress. Set on a budget first and stick to it. It helps you to narrow down your search. Wedding dresses come in various price ranges and therefore deciding in the price range you wish to buy will help you safe time and avoid confusion. Brides-to-be should decide what type of dress she is planning to wear on her D-day. Today a lot of options are available from sari, lehenga choli to salwar suit. Therefore, it is important you decide the type first. The choice also depends on the region or community she belongs to. Once you are done deciding the type of dress you will wear, take into notice the season of the year. Season is a strong determiner and greatly assists on the type of fabric to pick up. Chiffon, georgette, net, etc. are perfect fabrics for summers. For winters, fabrics like silk, tissue, satin, velvet etc. are the best. Wedding dresses for Indian women have a lot of styles and designs. fish-cut lehnga, A-line lehnga, skirt type lehnga, straight cut lehnga, churidars suit, A-line suits, bridal saree, lehnga style saree, fish cut sari etc are a few of them. Choose the one you like. Keep your figure in mind and choose the one that will suit you. Like heavy brides should go for slim fit or straight cut dresses. For thin brides voluminous or dresses having flare are best. The bottom line is make you’re your dress compliment your figure as well. In the humdrum of choosing the most elegant dress make sure you do not overlook the comfort factor. Since, Indian weddings are very long wedding dress should be extremely comfortable so that bride can carry it well. 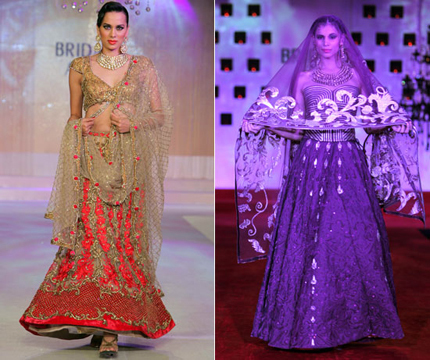 Your bridal lehenga can be a gateway to a totally sizzling item number of any occasion. All you need is a little bit of creativity for some awesome makeover. Treat your gorgeous piece of art at a center of attraction and give it the deserved attention it need. Do not just hang it in your closest. Your dupatta can be turned into half saree: Dupatta is generally the prettiest part of your bridal lehenga. Use it with the blouse as a saree. For example, if your blouse is emerald green and you have a red dupatta, only get a smaller piece of plain red fabric, and wrap it around your hip and pleat it. Another idea is get some plain red fabric stitched as a pleated skirt. Attach your dupatta at the pleats, turn it around yourself and wear it like a saree. It will appear as the pleats being plain red fabric and the dupatta being the rest of the saree. It will look heavy enough to be worn to a close wedding and also at the same time not look overly bridal. Change your blouse to a plainer one for a modern look: You may use a plain, raw silk fitted top that will come down below your navel as your blouse. Darker jewelled color like Navy and Emerald green won’t make you look bridal at all. For the blouse, you may get a cropped jacket custom made. Pair this with a light, shaded dupatta worn across your chest with the original lehenga skirt. Use a semi-sheer, flowing jacket and wear it over your existing lehenga skirt: Get a beautiful, sheer floor length jacket made so that you may wear it over your lehenga skirt as a jacket lehenga. 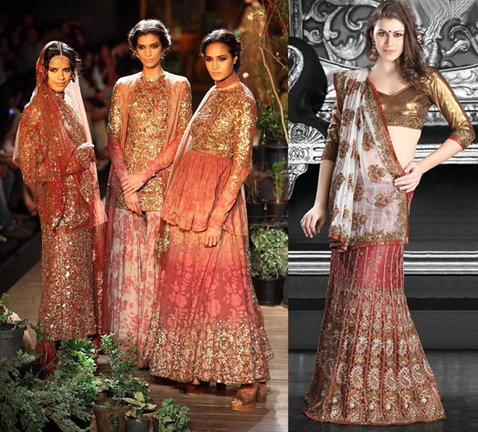 Due to the sheer fabric, the lehenga will be seen through and also at the same time give a modern twist to the outfit. Create fashion out of your old lehenga: If your lehenga has become quite old and is out of fashion, you may turn it into a beautiful piece of art. I do not deny the fact that there is sentimental value attached in cutting up your wedding lehenga, but if it is left pretty much unused what is the harm in reviving them by putting it on new fabric? Make an Anarkali out of it: If post marriage you have gained extra weight and feel like you won’t be wearing a lehenga again here is a better idea for you to re use your lehenga. Get the skirt of your lehenga attached to the blouse for a simple, cost effective anarkali to flaunt in the next wedding you attend. Wear it as it is: I have not gone nuts! You may think you will look like a bride, trust me, you won’t. Wear it with simple jewelry and with a different draping style. All you need is the right attitude and confidence to carry it. Abandon the Original Skirt: Get a Plain Raw Silk Skirt instead and match it with your heavy dupatta and blouse. Plain silk skirts are so in fashion these days. 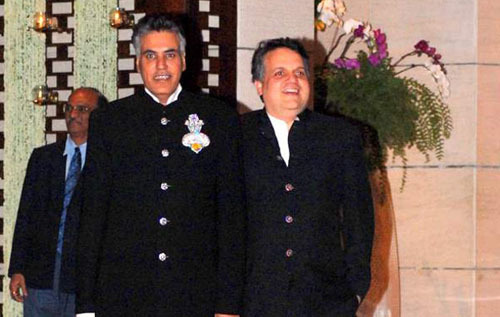 Get some nice borders and be the center of attraction at your friends wedding. 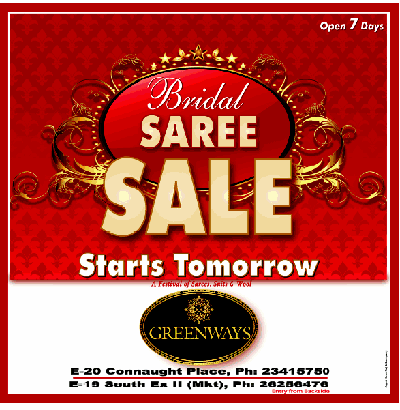 Delhi is the hub of brides-to-be shop for wedding sarees and suits. 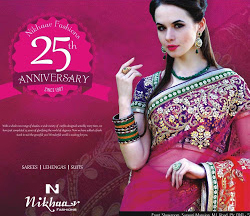 There are tons of places in Delhi that sells Wedding sarees and suits at the most appropriate prices. Again, if you are an NRI, and would like to purchase something from Delhi, I would suggest you to get something custom made from India. However, below is the list of some of the best shops displaying the most beautiful Wedding sarees and suits for all the brides-to-be in India and across the globe. 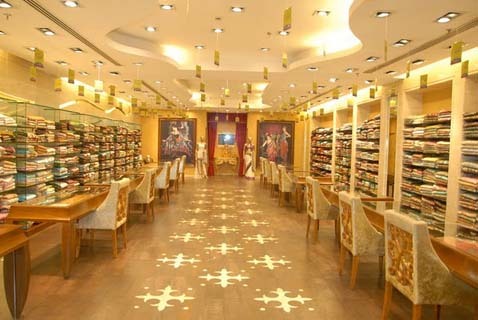 Charming has two branches; one is located in Ambience Mall, Gurgaon and the other in DLF Place Sake. The best thing about charming is the variety and work they have is amazing. Lehenga sarees, swarovski sarees, net sarees, traditional gotta patti work, cut work borders are found in best varieties. The heavy sarees will on an average set you back about 12-15 grand and can go up to about 40K for the much heavier ones. 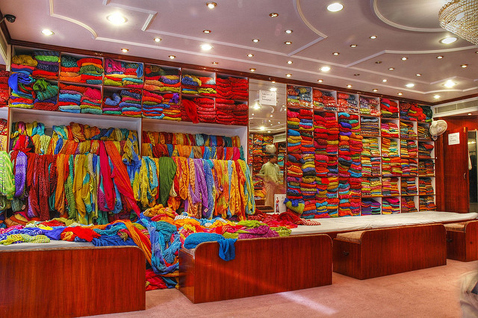 Meena Bazaar is one of the oldest and most renowned shops in Delhi. It is found pretty much everywhere- in every single mall. However, they stock some of the most amazing outfits in the shop. It is definitely worth a look. Greenways is located in the South Extension of Delhi. It is somewhere behind some market where you need to climb a few narrow staircases as well. 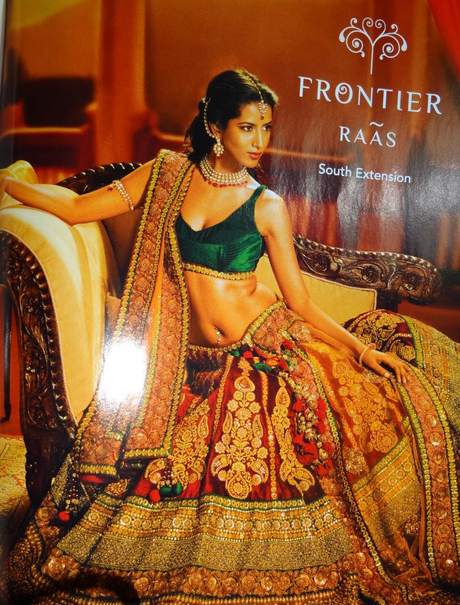 The range is similar to frontier, heavy sarees around 15000, very heavy ones around 30K. The lighter ones are much cheaper though. You will find tons of small time designers flock Bridal Asia and Vivaha exhibitions and therefore it is not at all worth a miss. You will definitely find something good here. Even if you are not satisfied, you will come back with tons of visiting cards to fix appointments later. L’affaire- GK is expensive but timeless. The pieces at L’affaire generally draw inspiration from traditional Indian textiles. You will find dresses for every one in your family under a single roof. 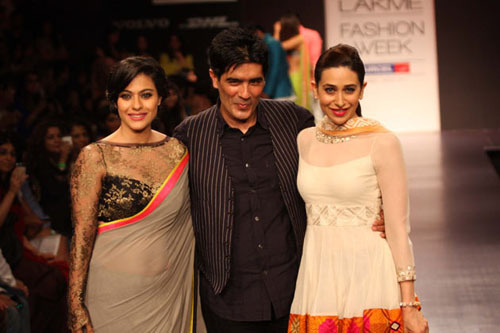 They have the ability to make traditional sarees look very modern. Though expensive (most sarees will set you back 20K) still it is worth a look. Frontier in South Ex does not worth a miss at all. 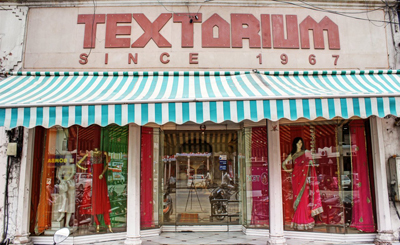 The entire ground floor is dedicated to some stunning pieces of sarees. Visit during sale time as they give heavy discounts then. Bargaining is okay here. Prices are similar to Charming and Greenways. 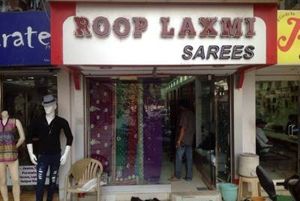 They also have a separate section for salwar kameez but it is okay to miss them. HK Village is a hub of not too famous designers but with beautiful quality designs and innovations. They are not cheap, but not too expensive either. You can get anything you want customized under different prices. If you fall under the brand conscious lot, EMporio, Crescent at the Qutab and Gallery One are three places you can not afford to miss. They are the store house of every possible designer you may think of. Crescent has slightly lighter stuff than Emporio which on the other hand deal with heavy outfits. Gallery One is a good mix of the two. 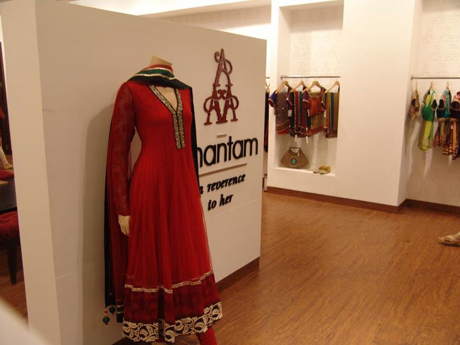 Anantam is not cheap but the gorgeous fabrics and the pretty anarkalis and interesting sarees are worth its price. Definitely a must visit if you are in Gurgaon! Perfection House, South Ex: Perfection House is just perfect for bridal shopping. You will find it slightly reasonable than the others. But you need to hunt through all their designs to find a really unique piece. You will have to be patient as there are a lot of unnecessary pieces too that is worth a skip. 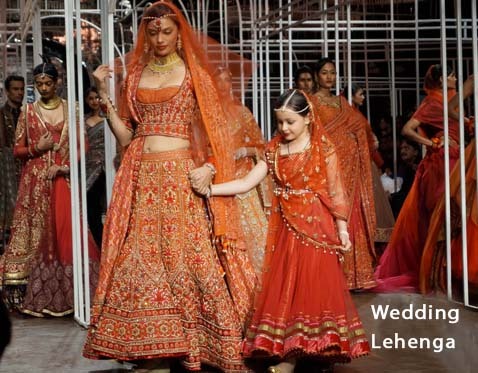 Chandni Chowk is a staple for lehenga and saree shopping in Delhi, thought lehenga shopping is most recommended. Karol Bagh is another area with loads of bridal saree shops. Happy Shopping in Delhi! The Pink City of India, Jaipur is a treasure trove for shoppers and when it comes to Ethnic Bridal wear Sarees they are marketed in every nook and corner of the city. 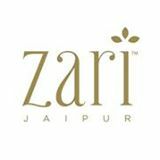 Jaipur is considered as one of the most important centers in the world for cutting and polishing precious and semi precious stone, diamonds as well. Thus it is a complete package for all your wedding shopping. 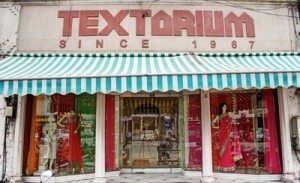 Most tourists visit Jaipur for its grand monuments but there is this another large section who go to Jaipur for shopping. It is indeed a shopper’s paradise too. You will find almost every kind of things in your shopping list here. The most popular items are jewelry, textiles and saris, good made of marble, wood, stone, lac, clay, metal and leather. The city has been the traditional hub of the finest of jewelry bedecked with both precious and semi precious stones, enameling of gold in green, red and white, the favorite colors of the Mughals infused by Raja Man Singh. Jaipur is also famous for diamond and emerald cutting. If you are looking for lac jewelry, I would suggest you to visit Maniharon Ka Rasta where lac jewellery is made and sold and the Johari Bazaar where jewellery is crafted and sold. The most sold items on the list are table tops, mirror frames, betel nut boxes and sindoor holders. Again, statuettes, photo frames and pill boxes are abundantly available on M.I. Road and the silver shops on the Badi Chaupar crossing. In the Gopalji ka Rasta and Haldiyon ka Rasta you will find a number of jewelry shops too. The cutting, polishing and selling of precious and semi precious stones is centred on the Muslim dominated area of Pahar Ganj in the Surajpol Bazaar area. You will also find numerous factories and showrooms on the Amber Road between Zorawar Gate and Holiday Inn. Hand block prints, blue pottery, carpets and antiques are plentiful. Not only jewelry, handicrafts like papier mache and carved furniture are also available. Another wonder of Jaipur is the glazed blue pottery, an art that was imported from ground Persia. Again suraghis, pots, ear-rings, soap dishes, door knobs, mugs and jugs are largely on sale. Brass statures of various sizes are available besides toy brass animals. Items made of white metals are also popular, especially those statues of gods and goddesses, animal and human figures. Carved marble bowls, vases and other decorative items are irresistible too. For Jewelry johari bazar and chora rasta. The local ‘Kundan’ a kind of jewelry from Jaipur is famous around the world. The exotic blue pottery, the batik painting, block printed textiles of Sanganer and Bagru, tie and dye fabrics, Mojari- (the local shoe), sandal wood carving items, beautiful stone carvings are a few that tops the list. The main markets are along Johari Bazar, Bapu Bazar, Nehru Bazar, Chaura Rasta, Tripolia Bazarn ad M.I. Road. Shops that is famous for precious and semi-precious stones crafting and jewelry. 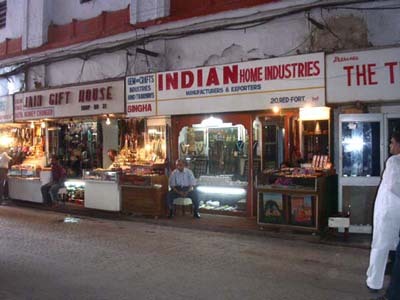 Jaipur is one of the most active jewel markets of the world. The Pink City is famous for precious and semi-precious stones and also for the cutting, polishing and setting of these stones, diamonds, topaz and emeralds in particular. The Jaipur brass worker is successful in infusing life like charm into the dull metal too. Lacquered brass and carved brass are two of its specialties. Jaipur enamel or Minakari has a class that matches none. Jaipur is also well known for its awesome textiles. Sanganeri and Bagru block prints are the fashion designer’s craze. And how can we forget Bandhej print – the pride of this region. 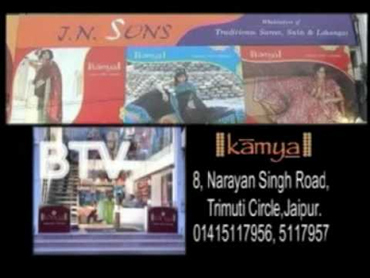 You will also find a large number of shops dealing in antiques and pseudo-antiques near the Hawa Mahal. Shops opposite Hawa Mahal is seen with the famous Jaipuri quilts, weighing from a few hundred grams to a kilogram. The stone and marble carving industry also requires special mention in Jaipur. The stone used is either procured from within Jaipur or from the marble mines of Makrana. The carvings portraits and busts created in here are held in high esteem everywhere. You will find a large number of emporia selling a variety of goods ranging from jewelry and brass work to textiles, to blue pottery, to woodwork, etc. They mostly attract the tourist from around the world. It is famous for textiles, utensils, ironware and trinkets. If you were always enthusiast about artisans at work, you may simply step into the side lanes and see for yourselves. Come here for textiles, local perfumes and shoes made of camel skin. This market is famous for jewelry and bandhej sarees. Gopalji ka Rasta and Haldion ka Rasta house numerous establishments selling jewelry. Traditional tie and dye fabrics and textiles are in abundance.